Kherson Court chose the restrictive measure for Volodymyr Horbenko, the captain of Nord ship detaining him. The press service of the Prosecutor’s Office of the Autonomous Republic of Crimea reported this to 112.ua. Horbenko will be arrested until May 31, 2018. At the same time, the court provided a possibility to bail him out for $1, 354. As 112 Ukraine reported, the advocated claimed that Horbenko was detained illegally and insisted on the impossibility of his further detention. A prosecutor claimed that the captain prevented the holding of the pretrial investigation and connected the representatives of Russia’s FSB during a stay at the ship. Horbenko denies all accusations. The representative of the company-owner of the ship reported on the intention to provide a bail to Interfax-Ukraine. Ukrainian border guards detained fishing ship-violator under the Russian flag in the Sea of Azov on March 25. The Nord ship was stopped in 15 miles from the Obytichna sandspit. The inspection defined that the ship was registered in the temporarily occupied Crimea. Besides, the members of the crew violated the order of the exit from the temporarily occupied territory of Ukraine. All of them had the so-called Russian passports, issued in Kerch. Later, the court arrested the detained ship. 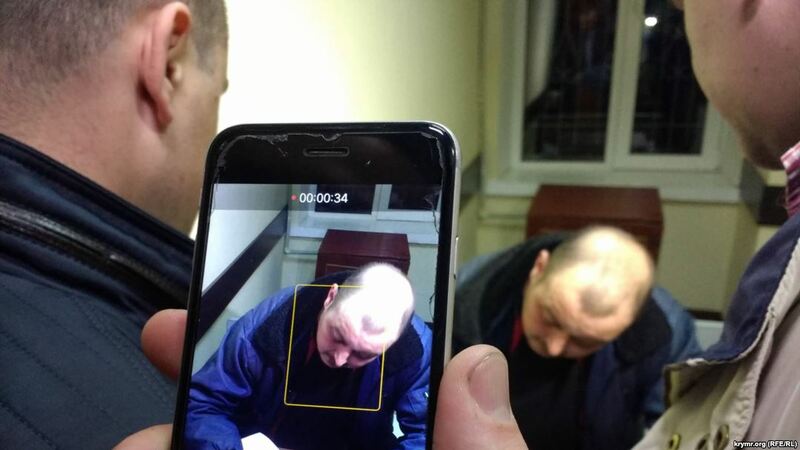 Ukrainian border guards detained Volodymyr Gorbenko on April 4. As we reported earlier, the ports, located on the territory of Crimea (Yevpatoria, Kerch, Sevastopol, Feodosia, Yalta) were shut down by the order of the Cabinet of Ministers on Ukraine (Some question on the functioning of marine and river transport) and according to the order of the Ministry of Infrastructure (on shut down of sea ports).